What triggers the Section 106 review process? What is a Federal undertaking? What standards does DHR use in project review? What is DHR’s expected response time? What are the responsibilities of the Federal agency? Can other participants consult with DHR on behalf of the responsible Federal agency? Who must find out if historic properties are in the project area? What other parties may be involved? Who pays for any necessary surveys? What are the responsibilities of DHR? What are the responsibilities of the Federal Advisory Council on Historic Preservation? Can the Section 106 review process stop a project? Does the process require the preservation of all historic properties? Does Section 106 require accurate restoration of historic structures? Does Section 106 prevent new construction in historic areas? It is the nature of the project (for instance, if it is federally funded, licensed, or permitted), not the presence of a historic property, that triggers the review process. Actions directly carried out by, or on behalf of, a Federal agency; for example: the Navy plans to build a hospital at a naval base. Actions carried out with Federal financial assistance; for example: a state highway project is given financial assistance by the Federal Highway Administration. Actions requiring a Federal license, permit, or approval; for example: stream crossings that require a U.S. Army Corps of Engineers permit. Under Federal law, an historic property is any district, site, building, structure, or object that is listed in or eligible for listing in the National Register of Historic Places. To ensure consistency in its review of both Federal and state undertakings, DHR uses The Secretary of the Interior’s Standards for Archeology and Historic Preservation (1983). The Secretary’s Standards establish professional standards for the identification, evaluation, registration, and treatment of historic properties. DHR also provides report preparation and survey guidelines to help government agencies (the project sponsors) and their consultants meet these standards. DHR usually provides comments within 30 days of receipt of a complete review package. Statutory timeframe for the Section 106 review process are given on the website of the Advisory Council for Historic Preservation. Federal agencies are required for all undertakings subject to Section 106 to clearly define the scope of their undertaking, develop an Area of Potential Effect (APE), make a reasonable and good-faith effort to identify and evaluate historic properties, and to assess the project’s effects when historic properties are found. If adverse effects are identified, the Federal agency must avoid, minimize, or mitigate those effects. This process of compliance is carried out in consultation with DHR, which serves as the State Historic Preservation Office in Virginia. DHR has developed an Electronic Project Information Exchange (ePIX) system to facilitate this consultation. Other consulting parties include the Advisory Council on Historic Preservation, Indian tribes that attach religious or cultural significance to historic properties that may be affected by an undertaking, local governments, interested public, and other stakeholders. Although Federal agencies are responsible for completion of all steps of the Section 106 process, certain Federal agencies transfer some of these responsibilities to others. For example, applicants for Federal financial assistance or for Federal permits may be required to provide information about the project directly to the SHPO and to complete the step of identification in consultation with the SHPO. The Federal agency is responsible for making a reasonable and good-faith effort to locate historic properties that may be affected by an undertaking. In addition to reviewing information on properties already listed in the National Register of Historic Places, the agency must consult other sources, like local preservation groups, that might have knowledge about historic properties that are documented but have not yet been considered for listing. DHR is a primary source of information. The agency must also ask the department’s opinion about whether previously unidentified resources exist in the affected area. After reviewing available information and the opinion of DHR, the agency may take further actions, such as conducting surveys to locate historic properties. Organizations and individuals concerned with the effects of an undertaking on historic properties may be involved in the 106 review process. Interested parties may include: local governments, applicants for Federal assistance, licenses or permits, Native Americans, landowners, other members of the public, and private-sector organizations and groups. Interested parties should contact DHR and the responsible Federal agency. The Federal agency responsible for the undertaking generally pays for any necessary surveys. However, some agencies require applicants for Federal financial assistance or permits to meet these costs as a condition of approval. 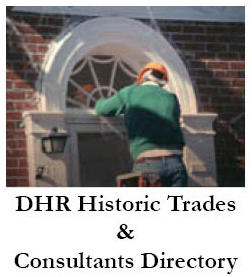 DHR provides information, guidance, expertise, and leadership in historic preservation for the Commonwealth. 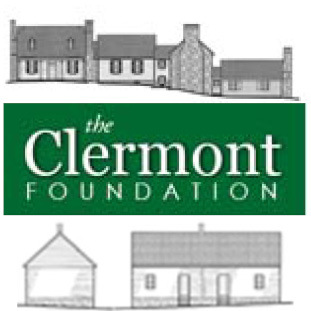 The department coordinates the Federal preservation program in the state and serves as an important link between the Federal government and the citizens of Virginia. No separate permit is issued by DHR in the Section 106 review process. The Advisory Council is responsible for commenting to Federal agency officials on undertakings that affect historic properties. The Advisory Council is an independent Federal agency that carries out Section 106 reviews, advises the President, Congress, and Federal agencies on historic preservation, and provides education and training. Authority to decide the course of a proposed Federal undertaking rests with the Federal agency providing the funding, license, or permit. The recommendations of DHR and the Advisory Council must be considered by the sponsoring Federal agency, but the agency itself retains all decision-making authority. In determining whether a property is eligible for the national register, the Keeper of the national register has final authority. No. The Advisory Council, DHR, and the process cannot stop a project. The process can take time, especially if the Federal agency is slow to initiate consultation in the first phase, does not provide complete information, or the Federal agency and DHR are not in agreement as to the effect of a project on historic properties. Section 106 review should proceed concurrently with other environmental reviews. When Section 106 is considered early in the planning process, projects should not be delayed. No. The Secretary of the Interior’s Standards for Rehabilitation, the Advisory Council, and DHR all acknowledge that, in some cases, historic buildings, structures, and sites may not be preserved without unreasonable investments. In other cases, there may be no reasonable alternatives to demolition. In such cases, the department may recommend excavation of an archaeological site, or written and photographic documentation of a building prior to its destruction. No. The process encourages the rehabilitation of historic structures, a process by which old buildings can be repaired and brought up to modern standards without losing their historic character. The Secretary of the Interior’s Standards for Rehabilitation, the Advisory Council, and DHR all acknowledge that, in some cases, accurate restoration may not be possible, economically feasible, or even desirable. Information on conducting rehabilitations according to The Secretary of the Interior’s Standards for Rehabilitation. No. In some cases, new construction is encouraged in historic areas. If new construction is proposed in an historic area, the project is evaluated to see how it might affect the historic character of the area. If the project will cause destruction of historic buildings or archaeological sites, or if the project is incompatible with the historic setting, the Section 106 process may result in revisions to the project design.